It turns out that if you take one atom of carbon and lay it next to another carbon atom, then you keep expanding that out into a sheet of carbon that is one atom thick, you create graphene. First isolated in 2004, graphene has rapidly absorbed enormous amounts of research dollars all over the globe. For its weight, graphene is unbelievably strong -- as in 100 times stronger than steel. And it is a great conductor of electricity and heat. Plus it's flexible. It also reflects up to 97.7% of the light that shines on it, making it nearly transparent. 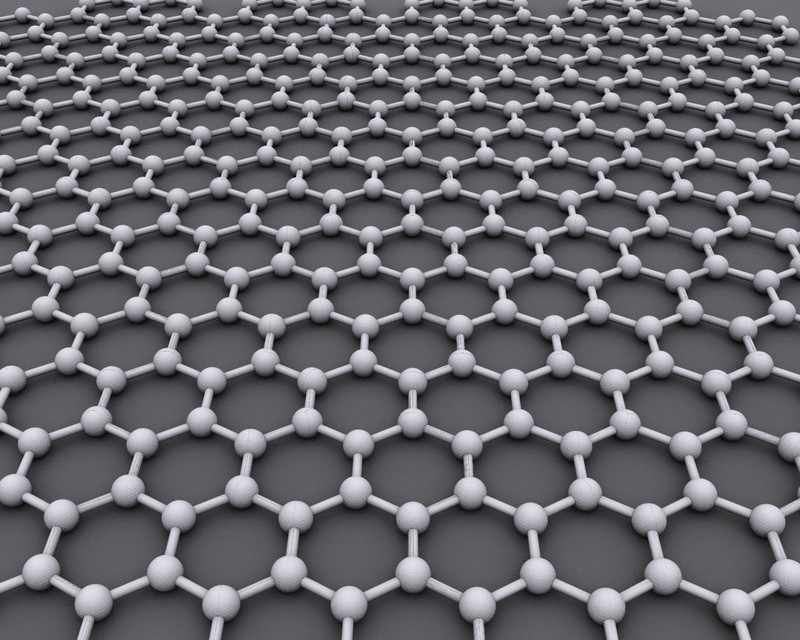 The future of all electronic devices will be made of graphene. Compared to silicon, graphene is still in its infancy. But the future looks bright for this young new material. Because it is so transparent, it could have application as a display screen, no different than the LCD screen on your laptop. It also has fantastic properties as an energy storage medium with phenomenal power density. It has applications in water purification, solar panels, and medical sensor bio-technologies that can monitor vital signs and even sequence DNA. Scientists are frightfully close to even creating a graphene transistor. If scientists can manage to crack all these amazing applications, then we have a wonder material that acts like it's own power charger, battery, circuit board, processor and display. Look at your smartphone, or any other consumer electronic device. You will see that the case is made of plastic and the display is made of glass. The battery is made from lithium and the circuitry is made from silicon. There are 28 different elements involved in just one smartphone. Now imagine replacing all of those materials with one. The immediate cost of the device drops drastically. Manufacturers don't have to source thousands of elements from different suppliers to produce the newest Samsung Galaxy. This eliminates costly supply chains, some of which originate in Afghanistan and other not-so-friendly parts of the globe. Did I mention that graphene is getting cheaper every day? Even if we can't replace all the elements with graphene, we can dramatically simplify. This means lower prices and greater performance. I recommend you keep your eyes open for graphene investment opportunities. The future of this material is bright.